The axe has fallen on what was once a vital Canadian international communications service. Radio Canada International will soon cease broadcasting on shortwave and be reduced to a web-only format of streaming and podcasts. I’ve written about RCI a few times over the past couple of years and it always appeared as if the service was living on borrowed time. All over the world, shortwave services have been slashed left and right in attempts to save money. Many governments see shortwave as being an obsolete technology now replaced by the seemingly-omnipresent Internet. As for Montreal-based RCI, I think the CBC has been looking for an excuse to pull the plug on it for years and now have found the perfect opportunity. Is shortwave as relevant as it used to be? Obviously not. At the same time, to assume even in 2012 that people all over the world have equal access to the Internet is absurd. Let’s not forget that the Internet is also being censored in many countries right now. Radio signals can also be interfered with, but traditionally, it was always a good way to get information across to people without having their dictator gatekeepers filter it. It is unlikely that too many governments are concerned with that anymore. It’s all about saving money now and shortwave is seen as expendable because the audience is located abroad. I listened to RCI during a stay overseas over two decades ago. At the time, there was literally no other way to get news from Canada. Imagine an Internet-free world - well that was the way it was back in the late 1980s… The signal came and went, but it just seemed remarkable that you were listening to something that was originating in Canada. RCI just turned 67 in February. It had been launched towards the end of the Second World War primarily to keep Canadian military personnel informed of what was going on at home. It then focused on Cold War broadcasting and then as an outlet to promote Canada throughout the world. 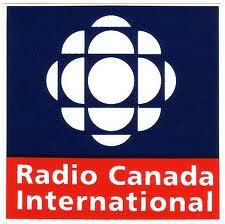 RCI’s transmitter in Sackville New Brunswick will be shut down. Several other shortwave services use it to re-transmit their programming. What will become of their usage remains to be seen. Does RCI have a future on the web, or will it simply quietly disappear sooner rather than later? I completely agree with every point you've made. I live in the midwestern United States and, while I can occasionally pick up an oldies station (AM 740) and a francophone CBC outlet (CJBC AM 860) in my car, I very much prefer to listen to the english and french RCI news-services on my two shortwave units. RCI is/was a shining beacon on rationality in an otherwise ever-increasing sea full of China Radio Int'l and scary screaming Appalachian preachers who seem bent on condemning all of us SWL'ers to a doom of fire and brimstone...no, thanks. And while I do use the internet for checking email and for mail-order shopping (since no-one makes catalogues anymore! ), I really don't like to use it for radio-listening due to the fact that THAT'S WHAT RADIOS ARE FOR. In any case, I knew this sort of thing would happen when CBC first started up with their knee-jerk reactions after Parliament's budget cuts were announced last month. I can respect Parliament for really trying to bear down and tackle the budgetary problems we are facing. But, I'm bitterly disappointed at the way CBC is going about their end of things; I personally think that cutting analogue services for the Northern communities is a huge mistake, as this essentially guarantees that anyone in Nunavut or NWT will end up news-less for some time to come. For CBC to pin this on the Harper government, as they have, is really not quite fair, in my view. But, that irritation does not assuage the fact that it's very, very sad for me. This is all the CBC's doing and the only thing that will truly save RCI is to have it taken out of the hands of the CBC.